Prevalence of thrombophilic defects according to family history of venous thromboembolism in 479 thrombosis-free women before oral contraception. CI indicates confidence interval. Prevalence of thrombophilic defects according to family history of venous thromboembolism in 189 women after venous thromboembolism during oral contraception. CI indicates confidence interval. Background Unrecognized thrombophilic defects increase the risk of venous thromboembolism (VTE) in women during oral contraception (OC). We evaluated the sensitivity and specificity of a family history of VTE to identify thrombophilia in women before OC and after venous thrombotic complications during OC. Methods Thrombophilia screening was performed after obtaining a family history by means of a standardized questionnaire in (1) thrombosis-free women before OC and (2) women after an episode of VTE during OC. Results We evaluated 479 thrombosis-free women before OC (age range, 15-49 years); family history was positive in 49 (10.2%). Thrombophilic defects were identified in 36 participants (7.5%; 95% confidence interval [CI], 5%-10%), 3 of whom had a positive family history (8.3%). The sensitivity and positive predictive value of family history of thrombophilic defects were 8.3% (95% CI, 2%-22%) and 6.1% (95% CI, 1%-17%), respectively. We also evaluated 189 women after VTE complications during OC (age range, 15-49 years); family history was positive in 48 (25.4%; 95% CI, 19%-32%), 22 of whom had a thrombophilic defect (45.8%; 95% CI, 31%-61%). Thrombophilic defects were identified in 81 women (42.8%; 95% CI, 36%-50%). The sensitivity and positive predictive value of family history of thrombophilic defects were 27.2% (95% CI, 18%-38%) and 45.8% (95% CI, 31%-61%), respectively. Conclusion Family history of VTE has low sensitivity and positive predictive value for identifying women with thrombophilia who are more susceptible to VTE complications during OC. In the first cohort, women were consecutively referred to the Unità di Ricerca Clinica sulla Trombofilia, "Marino Golinelli," Divisione di Angiologia, Ospedale S.Orsola-Malpighi by family-planning clinics in Bologna, Italy, between January 1, 1998, and December 31, 2000. Individuals were considered eligible for OC if their personal history for VTE was judged to be negative by the gynecologists. In the second cohort, women were referred to the Unità Ricerca Clinica sulla Trombofilia for thrombophilic screening after an episode of objectively confirmed VTE or superficial vein thrombosis (by Doppler ultrasonography, venography, ventilation-perfusion lung scanning, or pulmonary angiography) during OC. All these patients had taken low-dose contraceptive pills containing ethinyloestradiol, 0.02 to 0.05 mg, with the preparations containing different progestogens. They had interrupted OC use since at least 1 month before thrombophilia laboratory screening. All the women in both cohorts provided written informed consent to participate in the study. A modified standard questionnaire (according to Frezzato et al16; see Cosmi et al13) designed and validated to evaluate the personal and family histories of VTE was administered by experienced researchers before screening for thrombophilic defects. Family history was considered positive for VTE if any of the first-degree (parents and siblings) or second-degree (grandparents, aunts, and uncles) relatives had had VTE. Patients were also asked about additional acquired risk factors for VTE (surgery, trauma, and prolonged immobilization [bed or restricted sitting position for >6 hours, eg, flight or cancer]), duration of OC before VTE, comorbidity, and comedication. The study was approved by the institutional review board of Ospedale S.Orsola-Malpighi. Screening for thrombophilic defects included determination of antithrombin (Antithrombin), protein C (Coamate Protein C), and protein S (Protein S) activity (all from Instrumentation Laboratory SpA, Milan, Italy); APCR according to the methods of de Ronde and Bertina17; concentration of prothrombin by chromogenic assay according to the methods of Bertina et al18; and lupus anticoagulant with LA-test and LA-check commercial assay (Organon Teknika, Rome, Italy). The tests were performed by personnel unaware of the results of the questionnaire. In patients with abnormal APCR (ratio <0.78) or an increase in prothrombin concentrations greater than 1.10 U/mL, DNA analysis for either the FV R506Q mutation or the prothrombin G20120A mutation was performed according to the methods of Bertina et al2 and Poort et al,3 respectively. The cutoff values for the APCR ratio and for prothrombin activity levels were chosen on the basis of receiver operating characteristic curves calculated in 800 patients at the Unità di Ricerca Clinica sulla Trombofilia, Bologna, Italy. The chosen cutoff values had a sensitivity of 100% for FV Leiden19 and 96% for the prothrombin G20120A gene mutation. Sensitivity, positive predictive values, and likelihood ratios were calculated according to the methods of Sackett et al.20 The difference between proportions was calculated by using the χ2 test or the Fisher exact test when appropriate. The 95% confidence intervals (CIs) for proportions were computed using an approximate method.21 A 2-sided P<.05 was considered significant. Statistical analysis was performed using a software package (SOLO; BMDP, Los Angeles, Calif [now owned by SPSS Inc, Chicago, Ill]). We evaluated 479 women with a negative personal history of VTE confirmed by questionnaire (mean age, 34 years; age range, 15-49 years). The following thrombophilic defects were identified in 36 women (prevalence, 7.5%; 95% CI, 5%-10%): protein C deficiency (n = 2; 0.4%; 95% CI, 0%-1%), protein S deficiency (n = 1; 0.2%; 95% CI, 0%-1%), APCR (n = 15; 3.1%; 95% CI, 2%-5%, all heterozygous for FV Leiden), and G20120A prothrombin gene mutation (n = 18; 3.8%; 95% CI, 2%-6%, all heterozygous). A positive first- and second-degree family history of VTE was present in 49 women (10.2%; 95% CI, 8%-13%), only 3 of whom had a thrombophilic defect (Figure 1). Among the 430 women with a negative family history of VTE, 33 (7.7%; 95% CI, 5%-11%) had the following defects: protein C deficiency (n = 2; 0.5%; 95% CI, 0%-2%), APCR (n = 14; 3.3%; 95% CI, 2%-5%, all heterozygous for FV Leiden), and G20120A prothrombin gene mutation (n = 17; 4%; 95% CI, 2%-6%, all heterozygous) (Figure 1). The sensitivities and positive predictive values of family history (first and second degree combined and first degree only) in identifying thrombophilic defects are given in Table 1. The likelihood ratios for positive and negative family histories were 0.8 and 1.02, respectively. 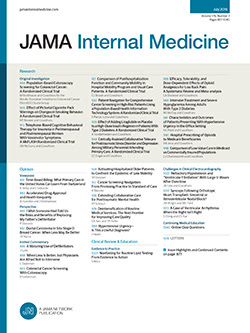 The proportion of women with thrombophilic defects was similar among those with a positive family history and those with a negative family history when first- and second-degree family histories were considered together (6.1% vs 7.7%; P = .91) and when first-degree family history was considered separately (8.8% vs 7.4%; P = .97). The proportion of women with a positive family history was similar among carriers and noncarriers of a thrombophilic defect when first- and second-degree family histories were considered together (8.3% vs 10.3%; P>.99) and when first-degree family history was considered separately (8.3% vs 7.0%; P = .73). We evaluated 189 women who had experienced an episode of VTE or superficial vein thrombosis during OC. Their mean age was 32 years (range, 15-49 years). Their mean age at the time of VTE was 31 years. The mean time since the start of OC at the time of VTE was 10 months (95% CI, 1-15 months). Third-generation oral contraceptives were used by 86% of women. Deep vein thrombosis had been objectively diagnosed in 157 women (proximal lower limb: n = 116; distal lower limb: n = 14; upper limb: n = 15; and other sites: n = 12), pulmonary embolism in 11, and superficial vein thrombosis in 21. Triggering factors were identified in 51 women (surgery: n = 17; trauma or immobilization in a plaster cast: n = 34). The following thrombophilic defects were identified in 81 women (prevalence, 42.8%; 95% CI, 36%-50%): antithrombin deficiency (n = 2; 1.0%; 95% CI, 0%-4%), protein C deficiency (n = 7; 3.7%; 95% CI, 2%-7%), protein S deficiency (n = 4; 2.1%; 95% CI, 1%-5%), APCR (n = 31; 16.4%; 95% CI, 11%-23%, all heterozygous for FV Leiden), G20120A prothrombin gene mutation (n = 26; 13.8%; 95% CI, 9%-20%, all heterozygous), and double defect (n = 11; 5.8%; 95% CI, 3%-10%, APCR with FV Leiden plus G20120A prothrombin gene mutation). A positive first- and second-degree family history of VTE was reported by 48 women (25.4%; 95% CI, 19%-32%), 22 of whom had a thrombophilic defect (Figure 2). Among the 141 women with a negative family history of VTE, 59 (41.8%; 95% CI, 34%-51%) had the following thrombophilic defects: antithrombin deficiency (n = 1; 0.7%; 95% CI, 0%-4%), protein C deficiency (n = 5; 3.5%; 95% CI, 1%-8%), protein S deficiency (n = 4; 2.8%; 95% CI, 1%-7%), APCR (n = 24; 17.0%; 95% CI, 11%-24%, all heterozygous for FV Leiden), G20120A prothrombin gene mutation (n = 19; 13.5%; 95% CI, 8%-20%), and double defect (n = 6; 4.2%; 95% CI, 2%-9%, all double heterozygous with APCR with FV Leiden plus G20120A prothrombin gene mutation) (Figure 2). The sensitivities and positive predictive values of family history (first and second degree combined and first degree only) of VTE for identification of thrombophilic defects are given in Table 2. The likelihood ratios for positive and negative family histories were 1.12 and 0.96, respectively. The proportion of women with defects among those with a positive family history and those with a negative family history were similar when first- and second-degree family histories were considered together (45.8% vs 41.8%; P = .76) and when first-degree family history was considered separately (41.7% vs 43.1%; P = .94). The proportion of women with a positive family history was similar among carriers and noncarriers of thrombophilic defects when first- and second-degree family histories were considered together (27.2% vs 24.1%; P = .75) and when first-degree family history was considered separately (18.5% vs 19.4%; P>.99). Screening for thrombophilia before OC is still a matter of debate. To date, the discussion has focused on the fatal complications of VTE, that is, pulmonary embolism. It has been estimated that the screening of 200 000 women would be required to prevent 1 death by pulmonary embolism if the prevalence of defects such as FV Leiden were 10% in the general population.7 The case fatality rate of 1% or less among women who develop thrombosis during OC is considered negligible. As a consequence, general screening is deemed not to be cost-effective. Some researchers, therefore, recommend selective screening in women with a personal or family history of VTE, in an attempt to increase cost-effectiveness and avoid denial of the benefits of OC to many women. Our data indicate that sensitivity and positive predictive value of family history are low for the presence of a thrombophilic defect and unsatisfactory (<50%) for OC-associated thrombosis. The family inheritance patterns of thrombophilic defects, and the associated clinical phenotype, are still under investigation. The tendency for thrombotic patients to cluster in families provided early evidence of a genetic basis for VTE disease, roughly compatible with thrombosis being a single-gene trait with a dominant pattern of inheritance.22 However, this model did not explain either the striking variability in clinical phenotype among family members carrying the same defect or the prevalence of the plasma coagulation inhibitor deficiencies in the healthy population.23 More recently, it was found that the gain in function of procoagulant factors associated with functional polymorphisms such as FV Leiden is fairly common in the general population and, when inherited in the homozygous condition or coinherited with deficiencies of coagulation inhibitors, leads to a significantly increased risk of thrombosis.24 In this respect, frequent thrombophilic polymorphisms behave more like recessive characters, which might not show a family history, unless their incidence in the population is high enough to frequently produce the homozygous or compound heterozygous conditions. The incidence of FV Leiden in the general population is approximately 2% to 5%, which is too low to produce frequent homozygous or compound heterozygous conditions. On the basis of the observed frequency of this polymorphism in the general population, family history of VTE can be expected to be silent in most FV Leiden carriers. Moreover, it is now recognized that VTE is a multifactorial disease whose expression depends on the interaction between several gene defects and the environment. Thus, the phenotypic expression of the disease is determined not only by the presence of a gene defect but also by exposure to environmental factors.25 As a result, thrombophilic genotypes may lack phenotypic expression in the family in the absence of exposure to high-risk situations such as surgery, trauma, immobilization, pregnancy, or hormonal therapy. Our study was prompted by the question of whether clinicians can identify women to be screened for thrombophilia during OC on the basis of family history. The results indicate that family history cannot be a proxy test for any thrombophilic mutation and, moreover, is a weak predictor of the likelihood that a woman will experience thrombosis during OC. Indeed, a positive personal or family history of VTE could be considered by itself a contraindication to OC regardless of the demonstration of any thrombophilic defect. In this condition, screening for thrombophilia could paradoxically be deemed irrelevant, but it still remains useful for specific assessment of the general thrombotic risk. The problem can arise when the clinician obtains a negative personal or family history of VTE. Is it then necessary to search for thrombophilic defects? It may not be if we consider the problem from a merely epidemiologic point of view, because universal screening is not cost-effective. The perspective may change if we considered not only mortality by PE but also morbidity by VTE with the related costs of diagnosis, treatment, and possible long-term sequelae such as postthrombotic syndrome. Finally, nowadays the clinician often faces litigation issues that could arise from the identification of a thrombophilic defect only after an episode of VTE during OC in a woman to whom incomplete information had been given. Our data indicate that family history of VTE has limited value in the identification of carriers of common thrombophilic defects before OC. As a result, selective thrombophilia screening in women with a personal or family history of VTE does not identify a relevant number of women with thrombophilic defects who are more susceptible to thrombotic adverse drug reactions during OC. This policy denies many women the knowledge of being at increased risk and thus the possibility of a more informed choice of contraception. Moreover, the possibility of taking adequate measures in high-risk situations in daily life is also prevented. Our data warrant wider discussion of the pros and cons of different screening policies in relation to the sociocultural environment and the different systems of health organization. Corresponding author and reprints: Benilde Cosmi, MD, Division of Angiology, Cardiovascular Department University Hospital, S.Orsola-Malpighi and University of Bologna, Via Massarenti 9, 40138 Bologna, Italy (e-mail: bcosmi@med.unibo.it). Accepted for publication August 16, 2002. This study was supported by an institutional grant from the University of Bologna, Bologna, Italy. This study was presented in part at the XVIII Congress of the International Society on Thrombosis and Haemostasis, Paris, France, July 10, 2001.